University of Colorado, Boulder engineers have developed a 3D printing technique that allows for localized control of an object's firmness, opening up new biomedical avenues that could one day include artificial arteries and organ tissue. For more information see the IDTechEx reports on 3D Bioprinting 2018-2028 and Tissue Engineering 2018-2028. "The idea was to add independent mechanical properties to 3D structures that can mimic the body's natural tissue," said Xiaobo Yin, an associate professor in CU Boulder's Department of Mechanical Engineering and the senior author of the study. "This technology allows us to create microstructures that can be customized for disease models." Hardened blood vessels are associated with cardiovascular disease, but engineering a solution for viable artery and tissue replacement has historically proven challenging. To overcome these hurdles, the researchers found a unique way to take advantage of oxygen's role in setting the final form of a 3D-printed structure. "Oxygen is usually a bad thing in that it causes incomplete curing," said Yonghui Ding, a postdoctoral researcher in Mechanical Engineering and the lead author of the study. "Here, we utilize a layer that allows a fixed rate of oxygen permeation." "This is a profound development and an encouraging first step toward our goal of creating structures that function like a healthy cell should function," Ding said. "The challenge is to create an even finer scale for the chemical reactions," said Yin. "But we see tremendous opportunity ahead for this technology and the potential for artificial tissue fabrication." Learn more at the next leading event on the topic: 3D Business & Technology Insight Forum. 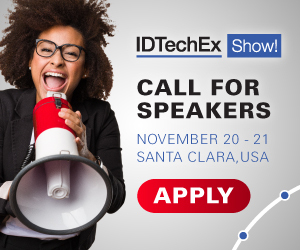 Boston May 2019 on 8 - 9 May 2019 at Boston, USA hosted by IDTechEx.